I Am Riding… around the world! My children’s book, I AM RIDING! (grades 3-4) is now available on Amazon. I team up with illustrator Jean Patrick Icart-Pierre for this fun-filled TRILINGUAL (English, French, Kreyol) story about a girl’s first time riding a bike. 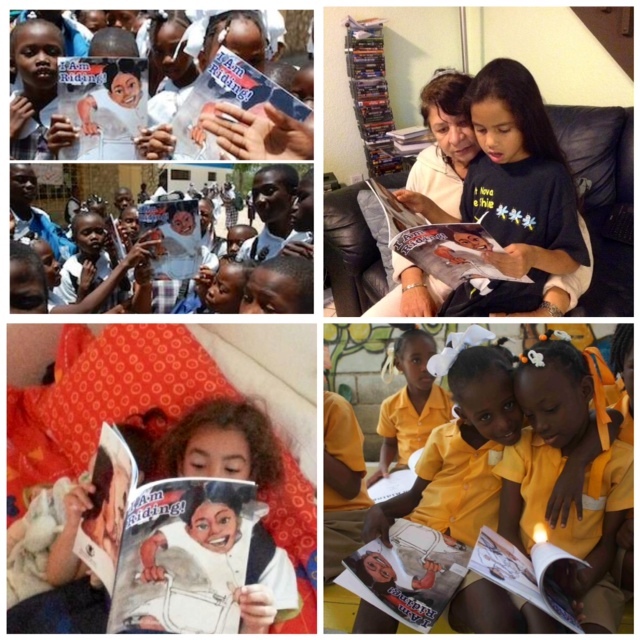 Top left: Children from the Village of Hope School excitedly welcome my trilingual book, “I Am Riding.” Top right: In Miami, my friend Ana sent me this picture of her daughter Nathalie reading with Grandma. 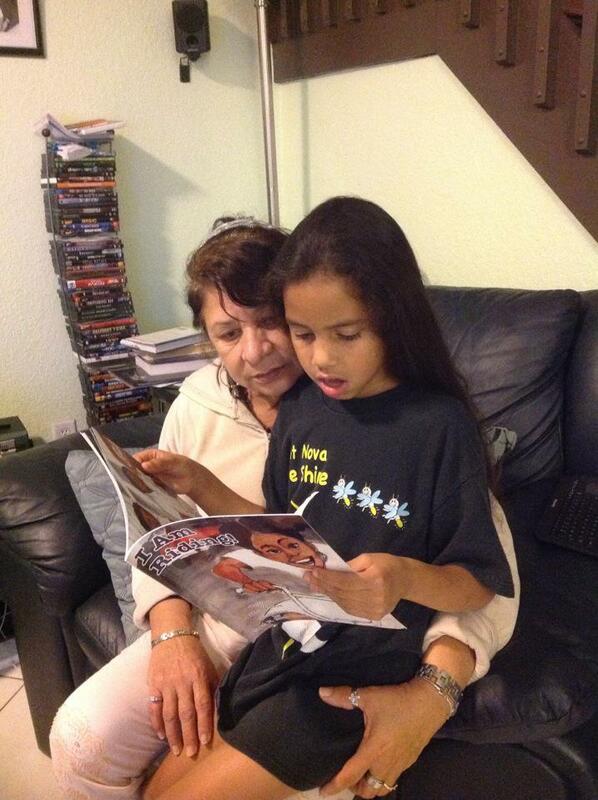 Bottom left: Another avid reader in Lauderhill. A quote from this lovely girl: “By looking at the cover, I already know it’s good.” Awww. Kudos to illustrator Jean-Patrick Icart Pierre! 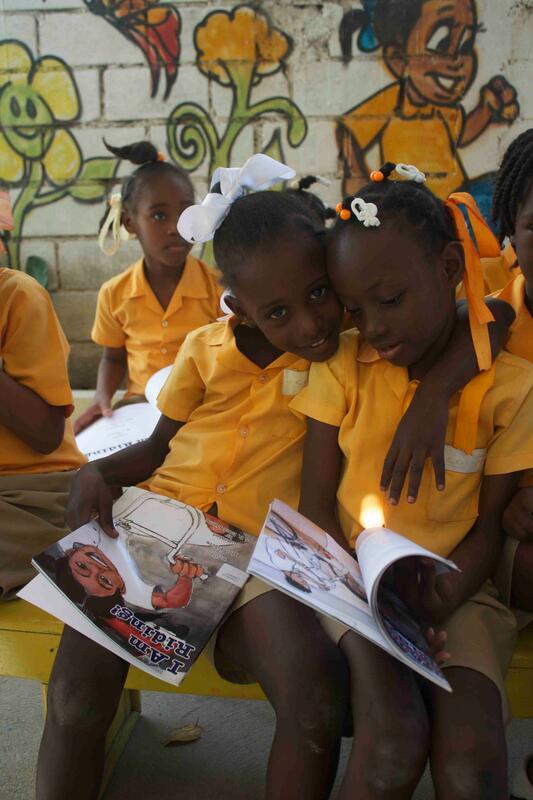 Bottom right: Little girls in Haiti are reading my book! These girls are students in the LitWorld Children of Haiti Project. Love these photos… you have made a difference for many girls (big and little). Your book will soon go to the Village of Hope school in Ganthier, Haiti.